The thing with art is it is so difficult to quantify. One persons master craftsman might be another’s average Joe. So before you try and become a master craftsman, work out what that means to you. Once you’ve worked this out you can begin your journey. Along the way your idea of a master craftsman will probably change, but that’s OK. As long as you have an idea of where you are trying to go at each stage of the journey you can work out what you need to do to get there. It’s easy to go head first into something and there is nothing quite like just doing stuff for yourself. But by observing others who you consider master craftsmen you will be able to see techniques used that are the result of years of learning. By collaborating, ideas and knowledge are shared at lightening speed. Thanks to our friend the internet this has never been a better time to find people you admire and respect to learn from or to meet new people to collaborate with. This requires self discipline. Sometimes we don’t really want to do something, but it might be better in the long run. Like taking breaks. Like working on the things that are important, not the things we just feel like working on. 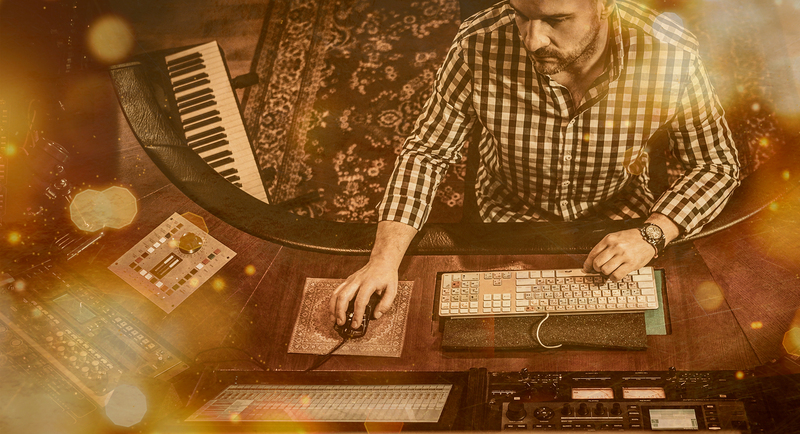 Do you really need to tweak the snare for 3 hours at the expense of creativity to complete the rest of your track? Experiment with different workflow plans and stick to them to see what works for you. ..and not from your friends or family! Real constructive criticism from your peers is where its at. Use forums, Facebook groups or other platforms that allow you to post anonymously. Sometimes it can be hard to take, but there is nothing like a raw critique of your work to spur you on and give you ideas of what you need to improve on. Music is subjective. There are opinions everywhere and you know what Clint Eastwood says about opinions. A lot of what we know about music has been built on doing, developing techniques and building up a web of knowledge that has been passed on from person to person. But that doesn’t mean it is right, so don’t be afraid to go against the grain. Music is a creative process, we take influence from other music, from experience, from everything around us. Someone else’s idea of what is right or good might be very different from your own, so don’t be afraid to be confident in your ideas and go with what you feel is right. As long as your eyes are open to information around you, its up to you to choose whether you use it or not. Understanding yourself, what makes you tick and what makes those around you tick can help you sidestep a lot of obstacles that might get in your way. Developing an emotional intelligence allows you to see things more clearly and be honest with yourself, which in theory should make you better at learning. Sometimes the truth hurts, but if you can’t see the truth then your decisions are likely to be based on non truths, which could lead you in the wrong direction entirely. Even when you think you are there, learning never stops. Challenge yourself, diversify, change, adapt. There are always new things to discover, new tools to use, new people to reach out to. Don’t take anything for granted and don’t become complacent. We need struggle and challenge in order to feel the rewards of success in whatever form it takes. Push yourself further. Sorry. This whole article has been a con! There is no ‘thing’ or technique that is going to make your next track sound incredible. The shortcut comes in your approach to learning. Learn better and make better decisions and your route to becoming master of your craft will be faster, more scenic and more importantly…more fun!